The primary mission of the fire service is to protect life. 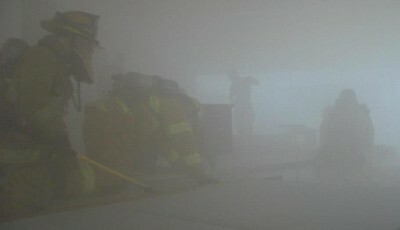 One of the ways we do this is through the primary search at a building fire. 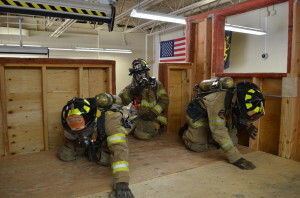 By definition, the primary search is the aggressive systematic search of a structure performed either before or during fire suppression efforts. 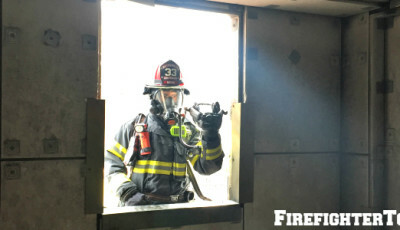 Many times this all important task is performed in a manner I call the “Search Train”, this is when firefighters follow one another in a line like a train while conducting the search. Conducting a search in such a manner is less than optimal. Lets examine the positions, tools, and techniques we can employ to stay off the “Search Train”. Generally (your department’s procedures may vary) the primary search is conducted by the inside team of a truck company. The inside team of a truck consists of these assignments and should carry the following tools. 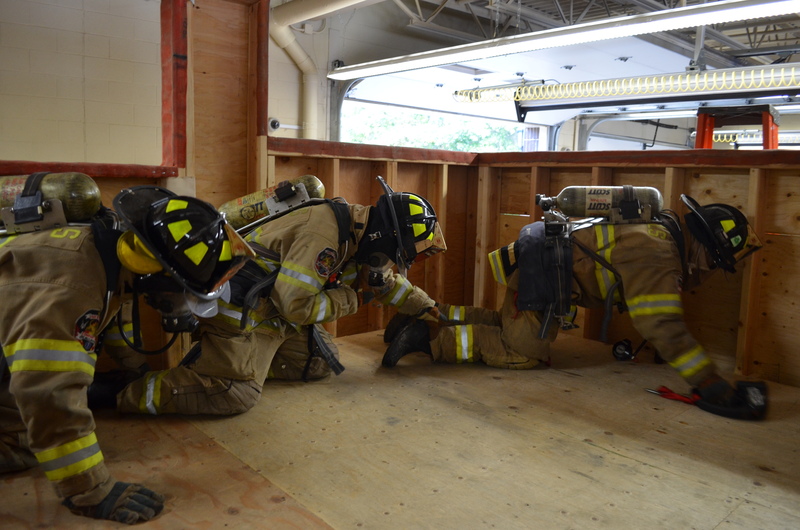 1) Officer-SCBA, Radio, Flashlight, Officers Tool or Halligan and Thermal Imaging Camera. 2) Irons-SCBA, Radio, Flashlight, Halligan and Flat Head Axe. 3) Can-SCBA, Radio, Flashlight, 2 ½ Gallon Water Extinguisher and 6 Foot Hook. Together the inside team is well prepared to make an aggressive primary search. The officer is ready to monitor conditions and look for victims with the thermal imager, the irons firefighter can force entry if needed, and the 2 ½ gallon extinguisher can be used to confine fire to get a door closed or hold it in check until a hose line can be put into operation. Upon entering the building the inside team should head for the fire area. This is the area where any possible trapped victims are in the most amount of danger. Upon initiating the search the officer should instruct his firefighters to search in opposite directions, instructing one member to take a left hand lead while the other takes a right hand lead. 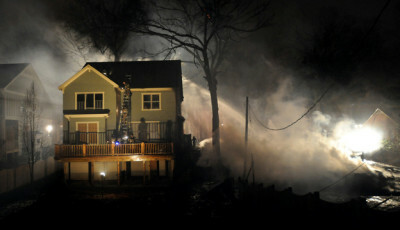 The officer is capable of managing the other firefighters while monitoring conditions with the thermal imaging camera. He is also capable of “steering” his firefighters in the direction they need to go in the event a victim is seen. 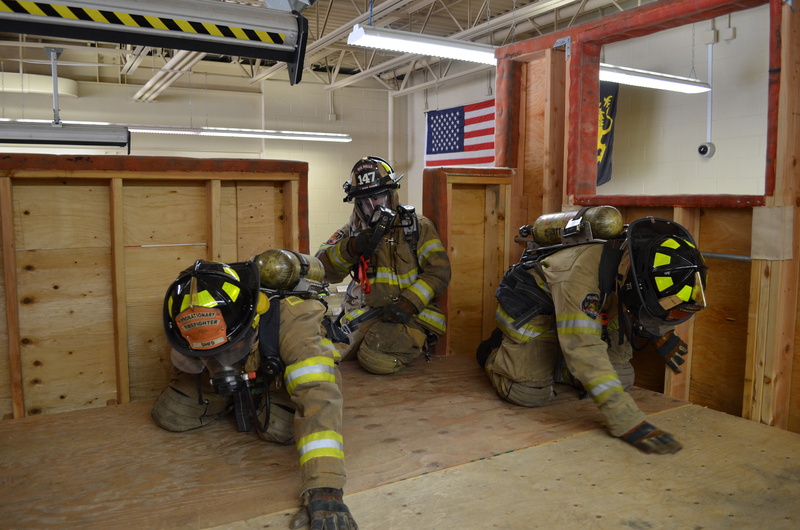 Firefighters are commonly taught to “stay close” to each other while conducting a search. This is important for safety reasons however staying close does not necessarily mean right on top of each other. If they are close enough to remain in voice contact this is an acceptable practice. In certain situations the officer can be in the hall while the irons and the can each search bedrooms on opposite sides of the hall. 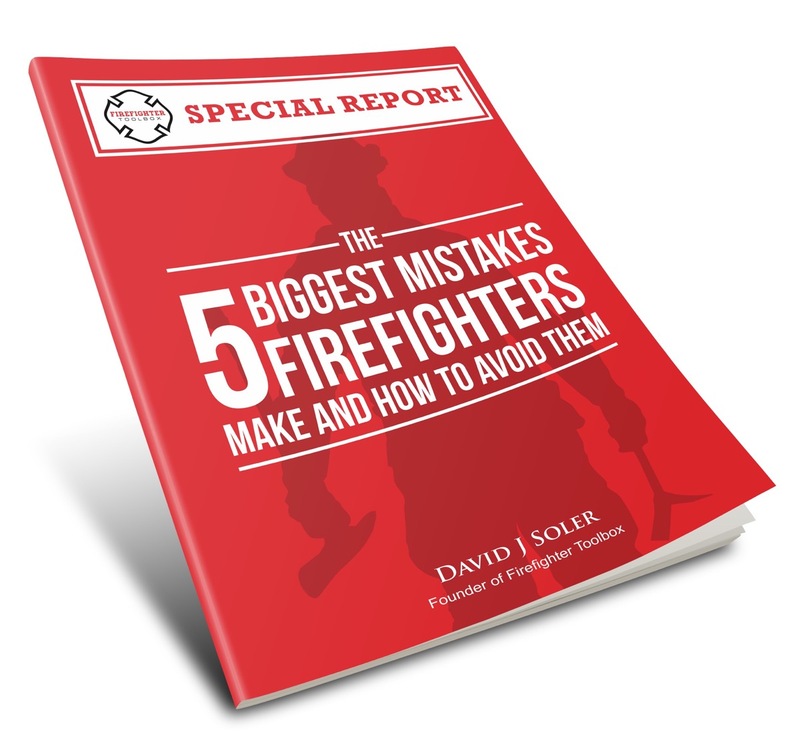 The officer remains in voice contact with each of his firefighters the entire time so there is no need for firefighters to be following each other. You can clearly see how quickly we can conduct a search in this manner instead of following one another and basically searching the same area twice. There are many other aspects to search, and this article is not meant to cover them all. This article’s intention is to provide some basic guidelines to ensure a QUICK, AGGRESSIVE search. By staying off of the “Search Train” we are giving any trapped victims the best chance of being rescued quickly.